Old pictures of Órgiva compared with today’s scene. 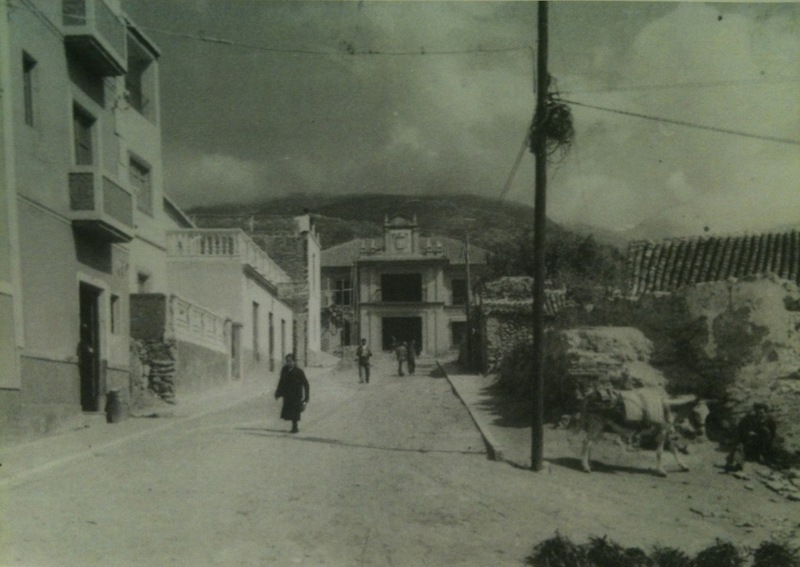 The first photograph shows Calle Doctor Fleming in 1950 – see our post about why it’s called this. The second is from roughly the same spot today. Standing in the middle of the road in 1950 you’d meet no harm, today it’s a little different. 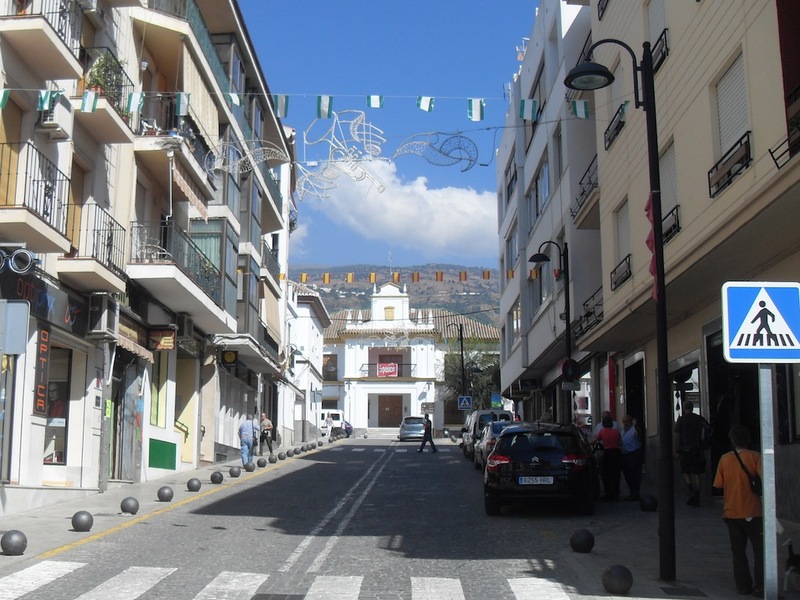 The building at the top of the street is the old Ayuntamiento (town hall).